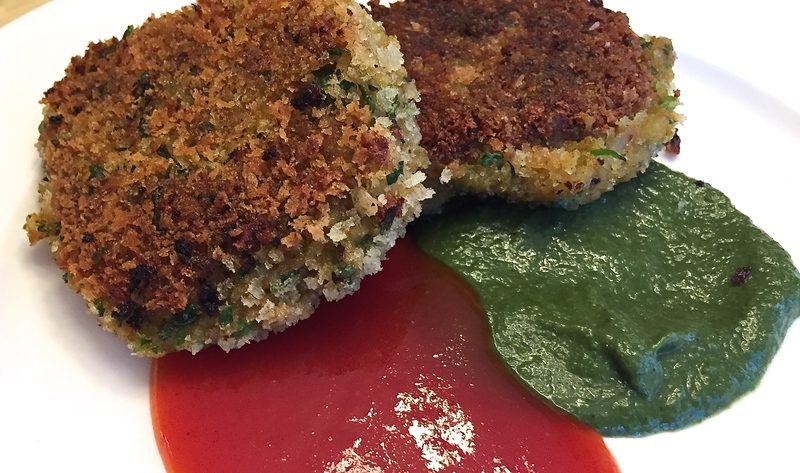 Aloo (Potato) Tikki (Croquette) is a typical afternoon snack that’s served with Indian chai. There is probably a variation of crispy potato patties in every cuisine, and this version is a crispy cutlet made of mashed potatoes, black salt, chilli powder, turmeric and other spices that makes this quintessentially Indian. 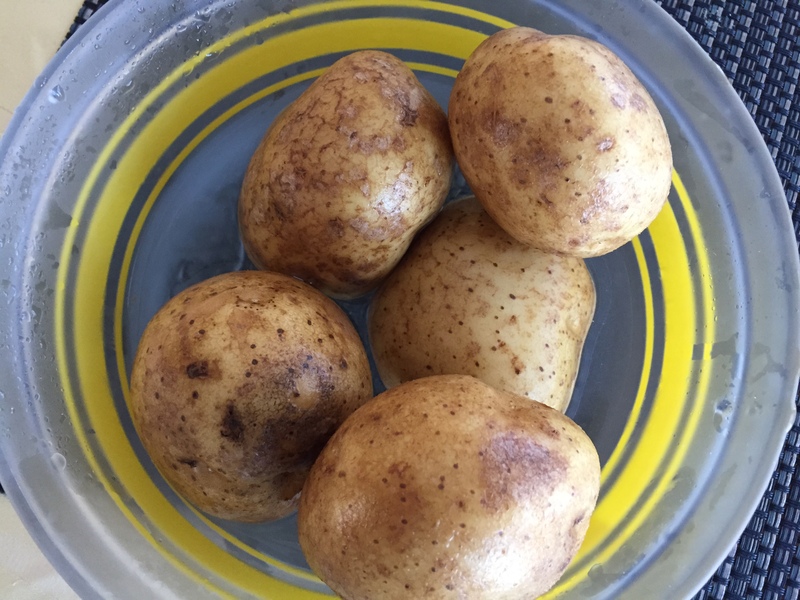 In a microwave safe bowl add 1/2 cup water along with the potatoes and microwave on high for 6-7 minutes. Potatoes should be cooked al dente where it is cooked through the center, but not falling apart and mushy. Depending on your microwave, you may need a few additional minutes. Let this cool until you can handle them and peel the potatoes. 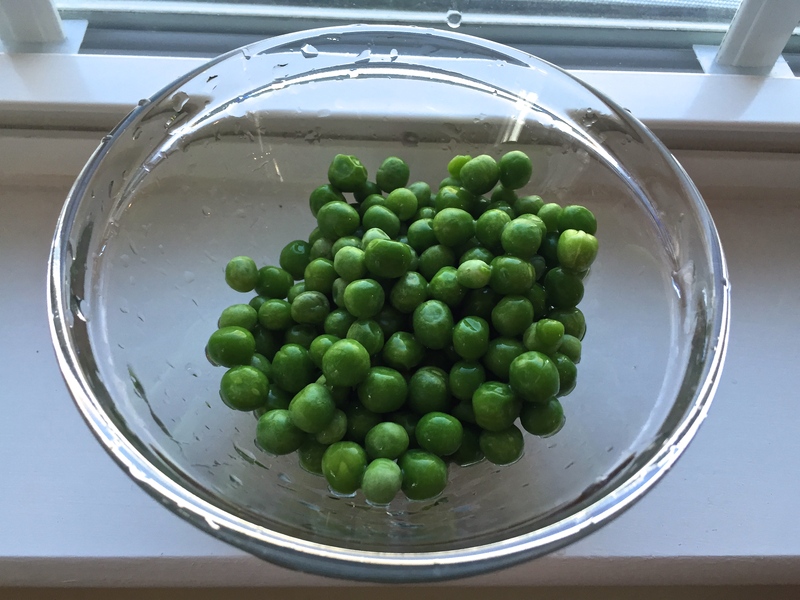 Thaw a cup of frozen peas and set aside. 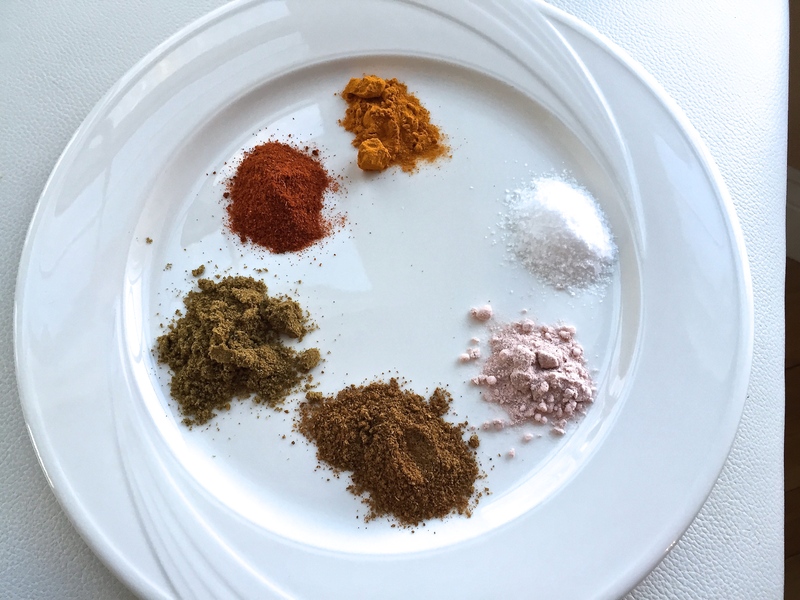 Measure and keep all the spices and salt ready. 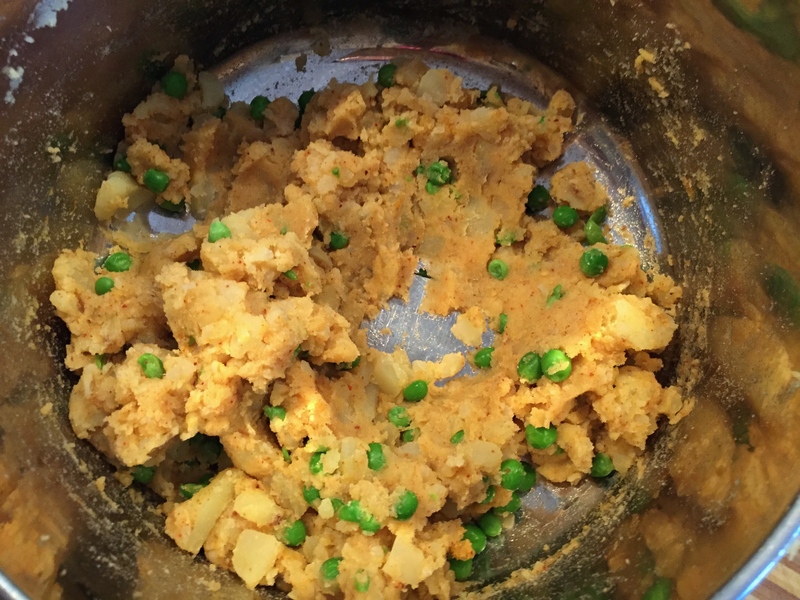 In a mixing bowl, mash the potatoes well until mostly smooth, but leave a few potato chunks in there for texture. Add the peas, spices and cilantro and mix well together. At this stage taste the mixture and adjust seasoning if needed. Get a bowl of panko breadcrumbs ready. 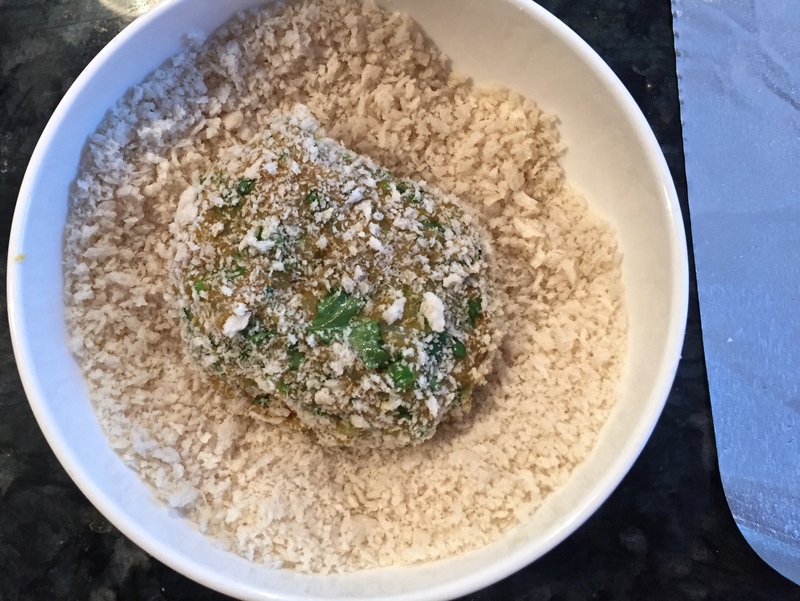 Roll a ball of the potato mixture and dip well into the crumbs and move it around and press gently so all the sides have crumbs adhering to it. 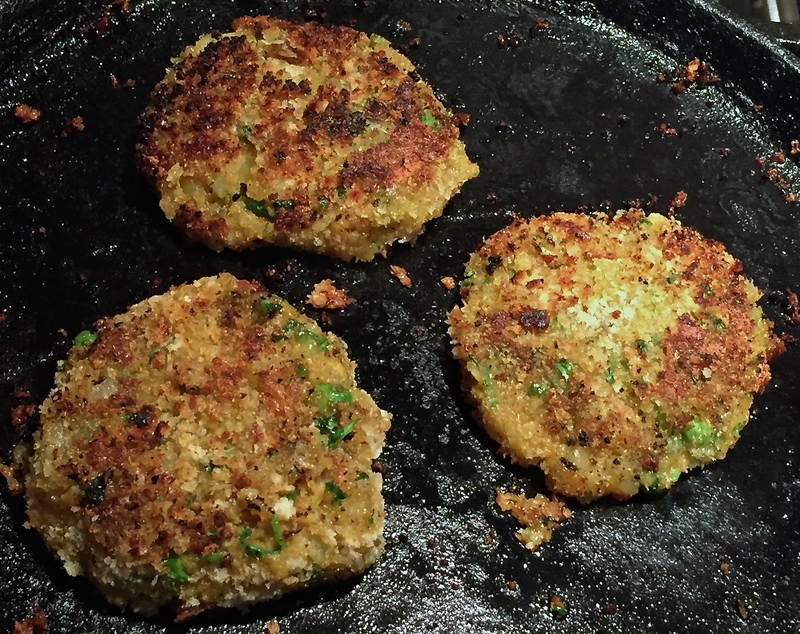 Press it down gently in the palm of your hands to make a patty, and roll one more time in the crumbs and set aside on a plate. 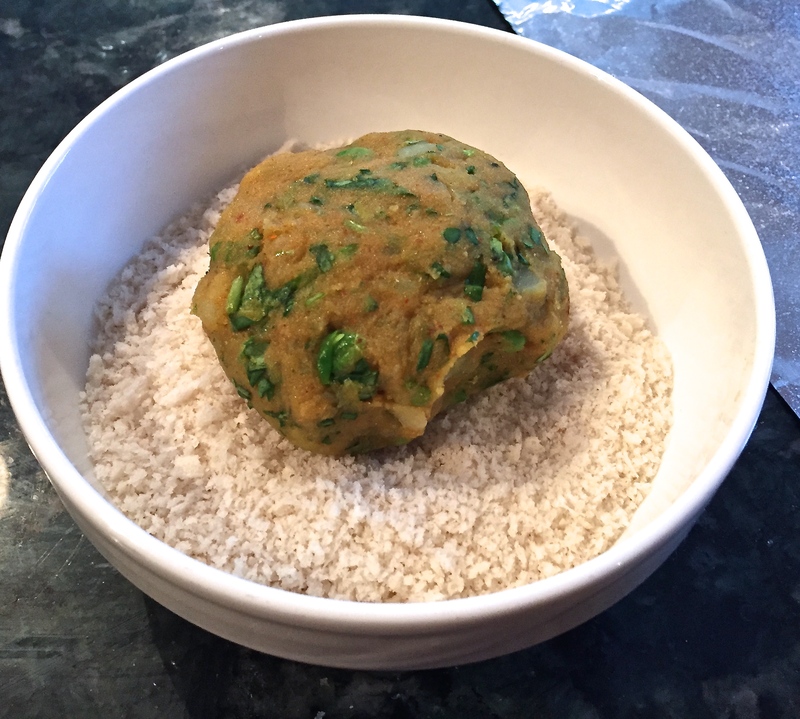 Make the rest of the potato mixture into patties and lay them all separately on a plate to rest for a couple of minutes. Heat an iron skillet with a few tablespoons of canola oil. 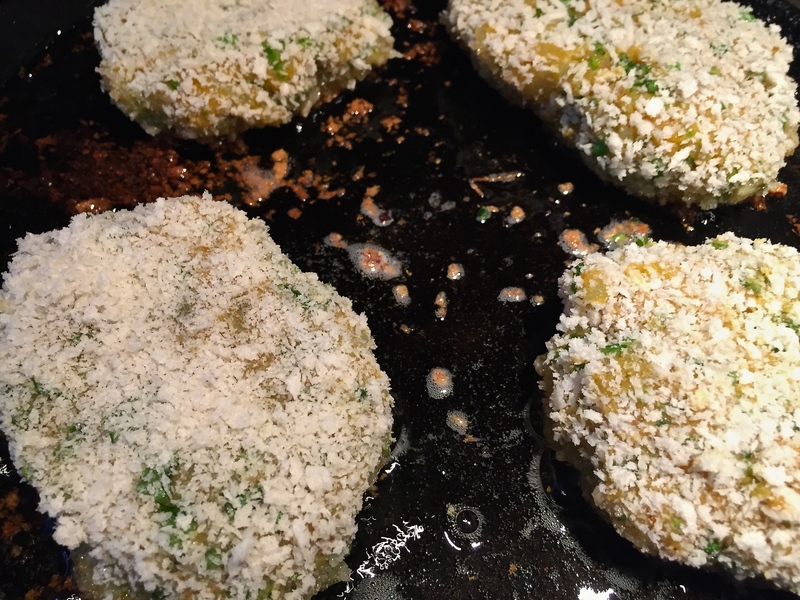 Once heated well (over medium heat for a couple of minutes) place 3-4 tikkis over the oil. you should here vigorous sizzling. If you don’t, your pan is not hot enough, and just increase the heat for a few minutes and drop it back to medium. You will notice the edges becoming crispy and turn them over at that time. Cook on the other side for a minute or so, just until it is crispy on both sides. I always serve with a combo of mint chutney and spicy ketchup.